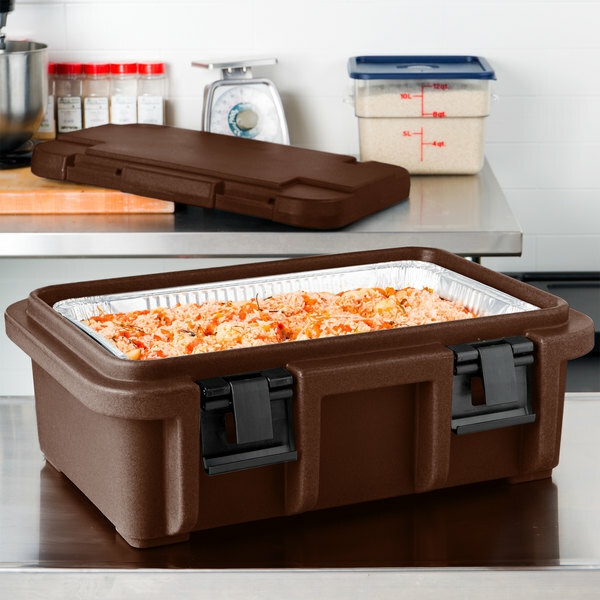 Keep hot food hot or cold food cold for up to 4 hours with the Cambro Camcarrier UPC160131 dark brown Ultra Pan Carrier®! 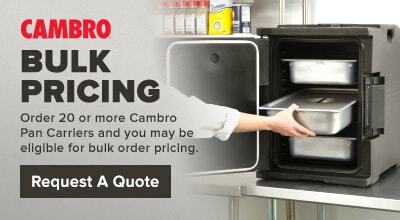 This top loading food pan carrier holds one, 6" deep full size food pan for easy transport to your next catered event. 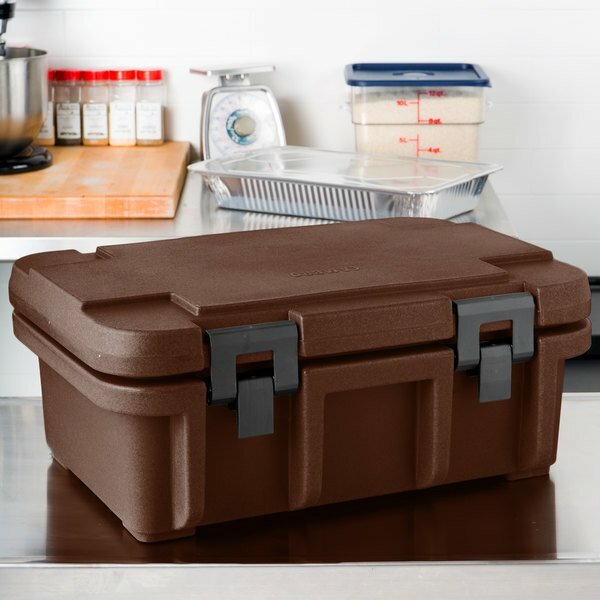 Its self-venting design, polyethylene insulation, and airtight gasket combine to ensure excellent food quality and temperature retention. 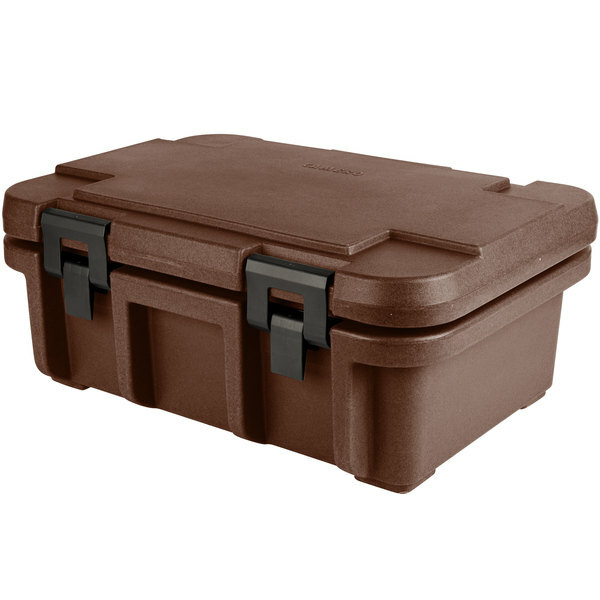 Four durable nylon latches close securely and enable easy transport. This full size top loading food pan carrier has convenient "finger notches" so it's easy to remove the pans, while convenient molded-in handles on all 4 sides provide a comfortable grip during transport. 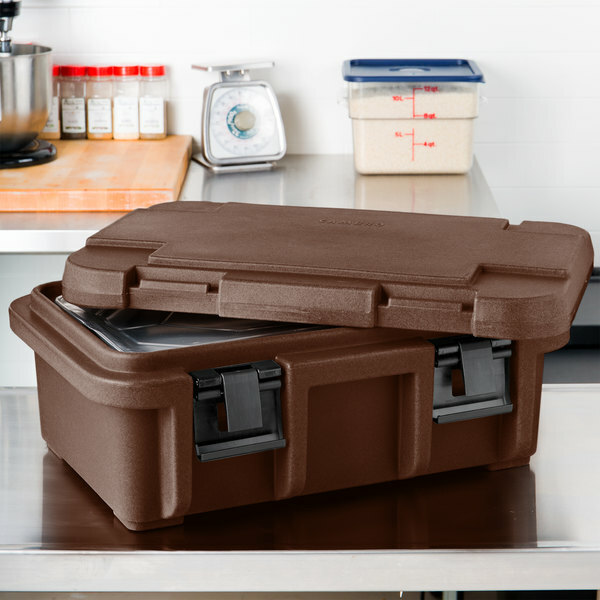 Plus, its interlocking design on the bottom and top corners ensure secure stacking with your other Ultra pan carriers or Camcarriers for efficient storage. 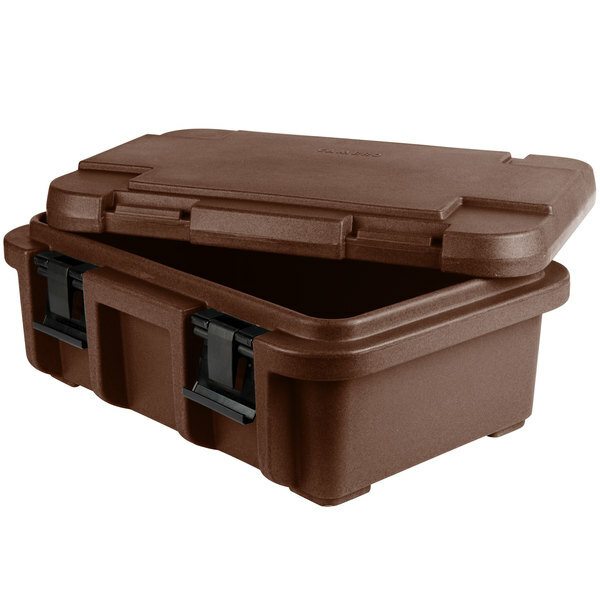 Best of all, no assembly is required so you are able to use this carrier as soon as it arrives.